SOLE AGENT! 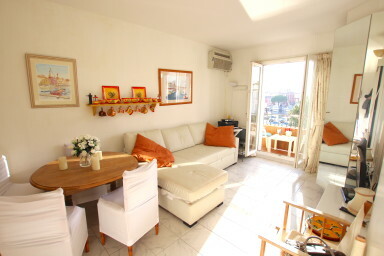 Lovely 2-room apartment in the heart of Port-Grimaud. The shops and restaurants are located at the bottom of the building. Building with a lift for more comfort. The apartment is composed of a living-room with an open kitchen a bedroom with a French window and a bathroom. A West-oriented balcony to admire the view on the canal until sunset. A cupboard in the corridor of the building and another one on the ground floor.